Made with Vermont roasted, organic, farm-direct Ethiopian coffee beans. Cold brewed to reduce acidity, increase smoothness, and give a bit of extra sweetness. No sugar added. The only ingredients are Vermont purified water and Freshly roasted coffee. It's pretty strong, so you may want to dilute it by pouring over ice, adding cold water, or adding hot water (milk is a fine way to dilute as well). Love beer? Love hops? Love coffee? Maybe dislike all three but curious to try a delicious, new concoction? 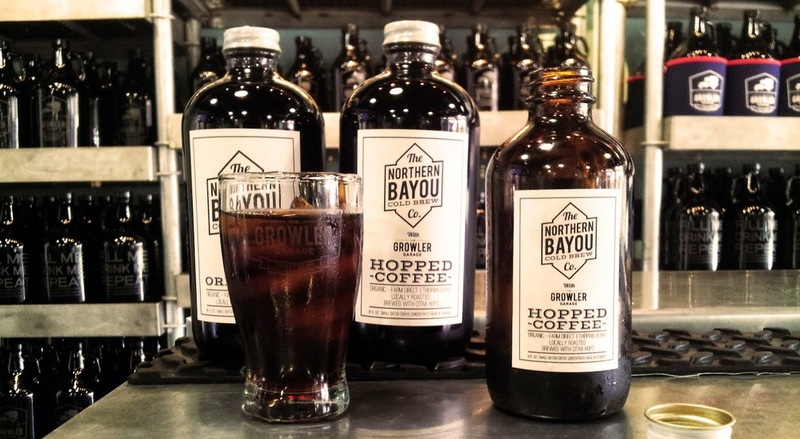 This cold brew has the same build as our Original but with the added punch of hops. Think cold brew coffee with accentuated citrus and floral characteristics. We teamed with the wonderful chaps at Blue Bandana Chocolate Maker in Burlington, Vermont to bring you this wild concoction. There isn't any junk floating around in this twist on a mocha. We've pulled nutty, chocolaty goodness from Single Origin Cocoa Nibs and slipped it into the back end of our Original Cold Brew. Velvety Ethiopian coffee in the front, dark chocolate ride to the finish. Not sweetened. Give it a whirl.